"Back at it again with the red robe." It was only a matter of time before actor Daniel Dae Kim got the proper "Damn, Daniel" treatment. 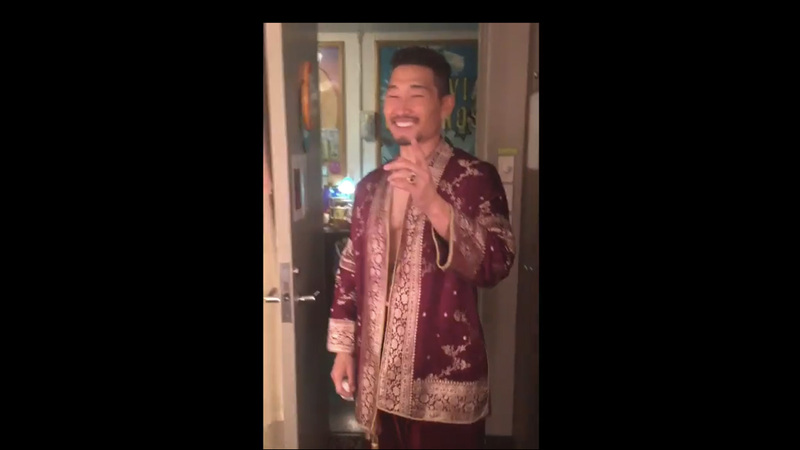 The Hawaii Five-0 star is currently taking the stage as the King of Siam in the Broadway revival of Rodgers and Hammerstein's The King and I. Co-star Ashley Park, who appears in the show as Tuptim, recently blessed the internet with her own hilarious backstage version of the "Damn, Daniel" meme. I mean, this had to happen. Unfortunately for The King and I, it was unexpectedly announced Sunday that the production will close at the end of the month. The Lincoln Center Theater will end the production on June 26, at which point it will have played 538 performances. A national tour is scheduled to begin in November.